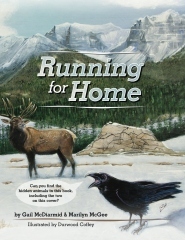 I first met Gail McDiarmid and Marilyn McGee when they asked for my assistance in editing Running for Home, their youth book on the return of wolves to Yellowstone. But Gail and Marilyn are advocates for more than Yellowstone wolves. 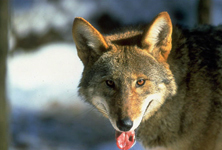 Living in the southeast, they are in close proximity to Canis rufus, the red wolf. Their latest venture focuses on educating others, both young and old, about this unique and highly threatened species. I am deeply inspired by their work and reminded that each and every one of us can contribute in our own way toward an atmosphere of co-existence with wolves and other predators. And their project comes at a good time, as the N.C. Wildlife Resources Commission recently requested that the USFWS gather up and remove the red wolves they released there, saying that 64 of the wolves were set loose on private rather than public land. The state agency, which governs hunting and fishing in N.C. is asking the USFW to stop their efforts to reintroduce the red wolf in the southeast. I have no inside information on the details of this issue, but it sounds like there is some bad blood between these two agencies, or at least a vastly different philosophy on the importance of protecting endangered animals. 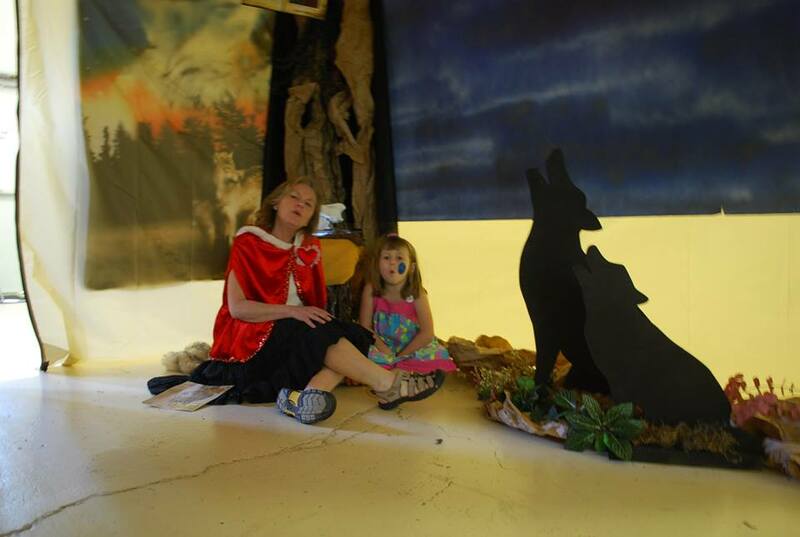 But Marilyn and Gail will continue their efforts to teach people about red wolf, and coyotes as well. They have started a new outreach program specifically on coyotes, partly in response to the coyote killing contests held in North Carolina and elsewhere. Seven years ago, gravel country roads lead sister’s Gail McDiarmid and Marilyn McGee to one of North Carolina’s most unique wetland habitats, the Alligator River National Wildlife Refuge. Lured in by the soft, dangling Spanish moss, they discovered bogs, marshes, hardwood and cedar swamps. And it was also there that these southern ladies first heard one of the most soulful songs of the south. Synonymous to the Carolinas, one often associates sweet tea, shrimp and grits, and lighthouses to this region. But to these curiosity seekers this part of eastern North Carolina meant learning more about the elusive and endangered red wolf. Kim Wheeler, Executive Director of the Red Wolf Coalition, and former outreach coordinator Diane Hendry, took Marilyn and Gail into the Sandy Ridge enclosure to observe the shy, red wolf in captivity. After hours of discussion, both sisters realized that they were seeing the Southeast’s least known treasure. Even though they have lived in the south their entire lives, neither knew the red wolf existed or the daily challenges it faced. The more they found out about the red wolf’s plight, the more they wanted to know!! Obsessed with learning, the ladies began reading science journals, interviewing the experts, and observed both gray and red wolves as often as possible. They have dedicated their free time to developing a Red Wolf Outreach Program for the public about North Carolina’s top predator. When working with students of “all ages,” Gail and Marilyn realized the importance of capturing the attention of their audience. 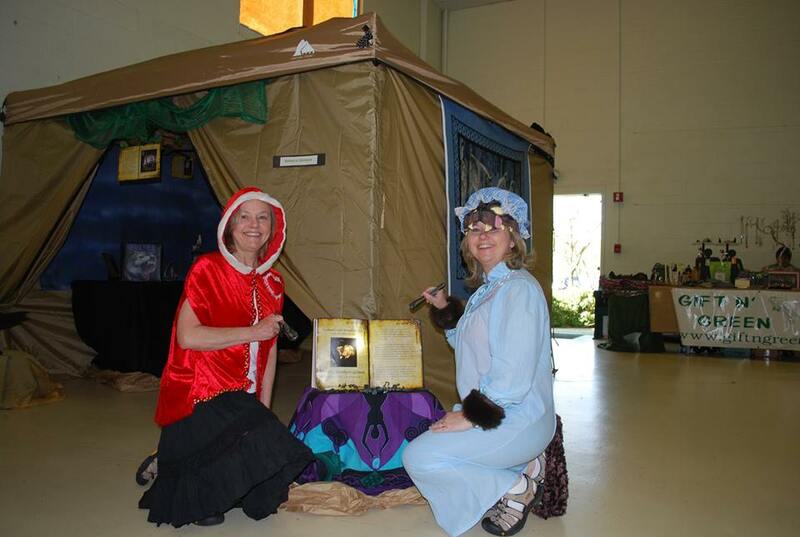 Whether the presentation was at a campground, within the walls of the public library, an assisted living facility, or in an elementary school or University, the goal of the programming was to teach in an entertaining fashion. Several times, they outfitted themselves as characters from the fairy tale, Little Red Riding Hood. This story allows them to address the fears and misconceptions about the wolf. On another occasion, they dressed as detectives with a spy glass in hand and lead a nature scavenger hunt. Eye catching props and colorful costumes lead to interactive discussions about red wolf behavior. Using artifacts such as pelts, skulls, tracks, and radio collars the participants learned about how this top predator helps to maintain the balance and health of ecosystems. The song “Country Roads” by John Denver and “The Song of the South” by Alabama are two popular tunes heard along the eastern NC shore. But if left up to Gail and Marilyn, all citizens living in the state will know more about the real stars of the south, the red wolf! Their dedication to educating the public about the wolf inspired them to write their first book, Running for Home. Their goal in writing is to change attitudes with education, one heart at a time. Gail and Marilyn are also doing outreach programs to educate others about the plight of the much maligned coyote. And if you haven’t read The Secret World of Red Wolves by T. Delene Beeland, you’ll want it. 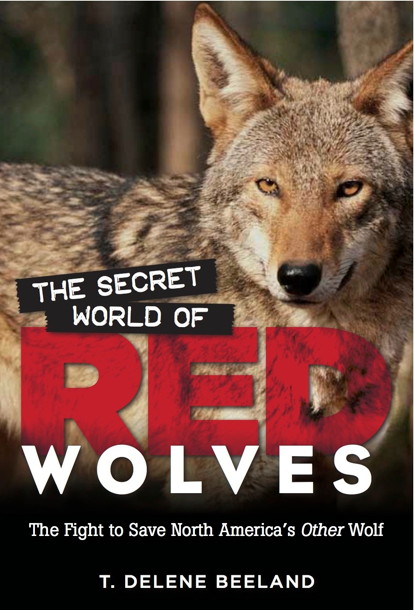 It is the definitive book on the red wolf, published in 2013. 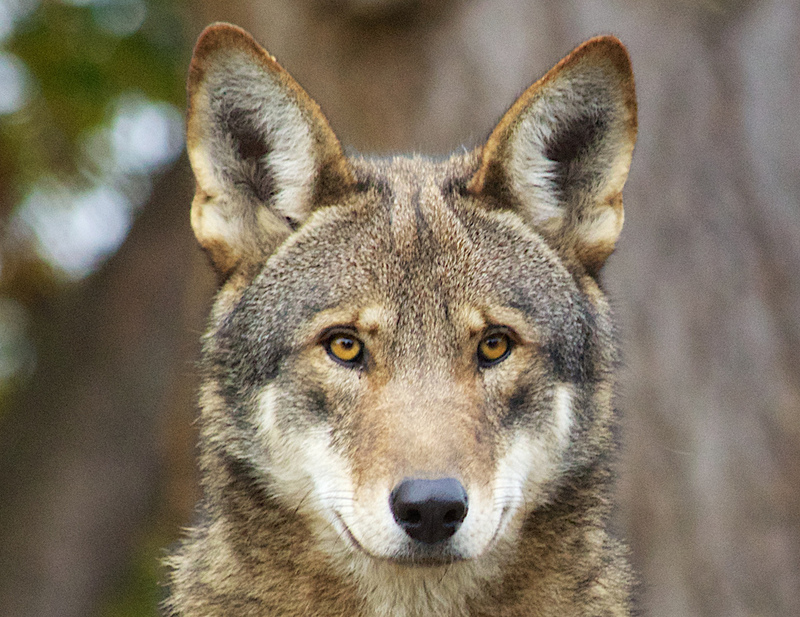 This entry was posted in Coyotes, red wolf, Uncategorized and tagged Gail McDiarmid, Marilyn McGee, red wolf, Red Wolf Coalition, T. Delene Beeland. Bookmark the permalink. This issue, i.e., reintroducing and protecting the red wolf is extremely important to a balanced eco system. Typically it appears that state game people are against reintro for numerous reasons. I have a house is Western NC and would love to see the wolf here in the dense forests. Reblogged this on "OUR WORLD". A single Red Wolf was caught on video in the Green Swamp in Florida. EXCITING!!! 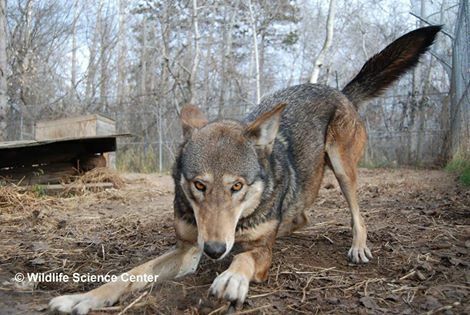 Voice your support for long-term protection of wild Red Wolves in NC & share. Send comments by March 16, 2015. Via email to: regulations@ncwildlife.org. OR: US postal mail to the following address: North Carolina Wildlife Resources Commission, Attn: Kate Pipkin, 1701 Mail Service Center, Raleigh, NC 27699-1701. Include your city and state within the message; other personal information is not required.